VALENCIA, Calif., Oct. 3, 2018 /PRNewswire/ — Luxury cruise line Cunard today announced exciting new shore excursions for when the legendary brand returns to Alaska with Queen Elizabeth’s 2019 voyages. 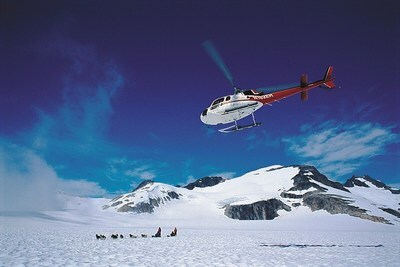 Dogsled Adventure by Helicopter: This jaw-dropping combination tour features two ways to experience Alaska’s glacial scenery. Guests embark on a thrilling helicopter ride over rainforest, alpine ridges and glacier-carved peaks only seen from the sky. To round out this unforgettable experience, guests drive a team of huskies with professional mushers over Juneau’s famed Mendenhall Glacier. Cooking in Alaska’s Wildest Kitchen: An award-inning wilderness chef and author demonstrates how to prepare wild, natural and sustainable Alaskan seafood in a hands-on tasting session, explaining what sets Alaskan seafood apart, including how to handle an alder-wood grill. Awarded ‘#1 Mega-Ship Ocean Cruise Line‘ by Travel + Leisure’s 2018, 2017 and 2016 World’s Best Awards and ‘Best World Cruise Itineraries’ and ‘Best Trans-Atlantic Itineraries’ by Porthole Cruise Magazine’s 2016 Readers Choice Awards, Cunard is a proud member of World’s Leading Cruise Lines, a part of Carnival Corporation & plc (NYSE/LSE: CCL; NYSE: CUK), the largest cruise vacation company in the world. Together Cunard, Carnival Cruise Line, Holland America Line, Princess Cruises, Seabourn, AIDA Cruises, Costa Cruises, P&O Cruises (Australia) and P&O Cruises (UK) operate 102 ships visiting over 700 ports around the world and totaling 226,000 lower berths.